(CNN) First things first: The theme song of the week is Bob James’ Angela, the theme song from the television show Taxi. What’s the point: Regardless of which Wisconsin poll you’re more likely to believe, Walker’s try for a third term is in trouble. At no point during his two previous reelection campaigns did Walker trail by anything close to 5 points. Looking at just the average poll, Walker’s 4.5-point deficit would be forecasted to result in a 7-point loss in November. Fortunately for Walker, it’s not that simple. Early governor polls aren’t always telling. There is a wide margin of error in forecasting. Gov. Charlie Baker faced a double-digit deficit in early polls in the 2014 Massachusetts governor’s race before going on to win. For Walker, this means that although he’s projected to lose by 7 points, only looking at the polls suggests he still has a 25% chance of winning. That’s as simple as flipping a coin twice and having it land on heads both times. Some might remember that now-President Donald Trump faced similar odds in 2016. 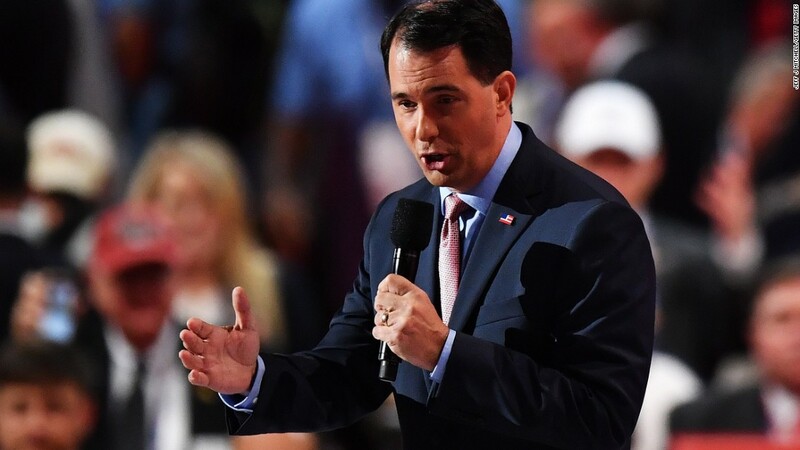 Moreover, race raters from the Cook Political Report and Inside Elections still rate the Wisconsin gubernatorial race as lean Republican despite Walker’s poll numbers. Now, race raters such as Cook and Inside Elections aren’t forecasting what will happen in November. They are only rating where they see the races right now. Even so, ratings at this point are usually quite telling of the November result. Looking at the governor elections since 2006, I compared where the race raters had each individual race at this point and what actually happened. Like with the polling, the White House party’s candidates are overestimated in early race ratings. Despite this fade in poll standing for the president’s party, races that are solid for one party and even races that are only likely for candidate at this point are almost always won by that candidate. Candidates such as Walker, whose race “leans” in his direction, are favored to win about 70% based upon how previous races like his broke down. This split between the polling and the race raters is not a Wisconsin specific phenomenon. We can look at all 30 of the 2018 gubernatorial races for which there is at least one poll not taken by one of the campaigns. Then we can see how often candidates in these positions are expected to win based upon the trends of campaigns since 2006. We can do the same for the race ratings in these 30 races (i.e. compare race ratings from prior campaigns at this point to the eventual result and forecast an outcome for this year’s races). I wouldn’t read too much into the exact probabilities of each race (e.g. 98% vs. 95% or 70% vs. 75%) because we’re only dealing with a few election cycles to calibrate the models. And there is at least one race (Connecticut), which I think is closer than either the public polling or race ratings at this point forecast for November. Still, the broad trends are clear. All of these states were carried by Trump in 2016 and haven’t elected a Democratic governor since at least 2006 (and 1998 in the case of Georgia). Kansas, Oklahoma and Tennessee have been especially red recently. Race raters think that they are more likely than not to stay red this time around. Polls, however, suggest that Democrats have a real shot in all these contests. Given the phenomenon of the president’s party’s candidate fading down the stretch, the polls actually forecast Democrats are at least slightly favored in Arizona, Georgia and Wisconsin. In Oklahoma, the average of polls suggests Democrat Drew Edmondson has a 50% chance of winning in a state Trump carried by over 35 points. The difference between the polls and race raters can perhaps best be seen by what each implies about the the governor’s landscape as a whole. The polls suggest Democrats will pick up somewhere between 7 to 8 seats (if we count independent Alaska Gov. Bill Walker as a Democrat), which would give the Democrats about an equal number of governorships as Republicans. If Democrats swept all the races where they had at least a 33 percent chance of winning as implied by the polling, they would end up with a net gain of 14 governorships. That probably won’t happen, though Democrats conceivably could come close if a large wave develops. This would leave Democrats with closer to 30 of the governor’s mansions nationwide. If the trend of past years holds, the race raters current prognostications would forecast something closer to a 5 to 6 seat gain for the Democrats. That’s not bad, though would still leave Republicans with a majority of governorships nationwide. The ceiling is also lower for Democrats than the polling implies because parties rarely win governor’s races where the other side is rated as at least “likely” to win at this point. Democrats would be lucky to hold a majority of governorships if the trend seen in previous years with race ratings at this point to Election Day holds in 2018.